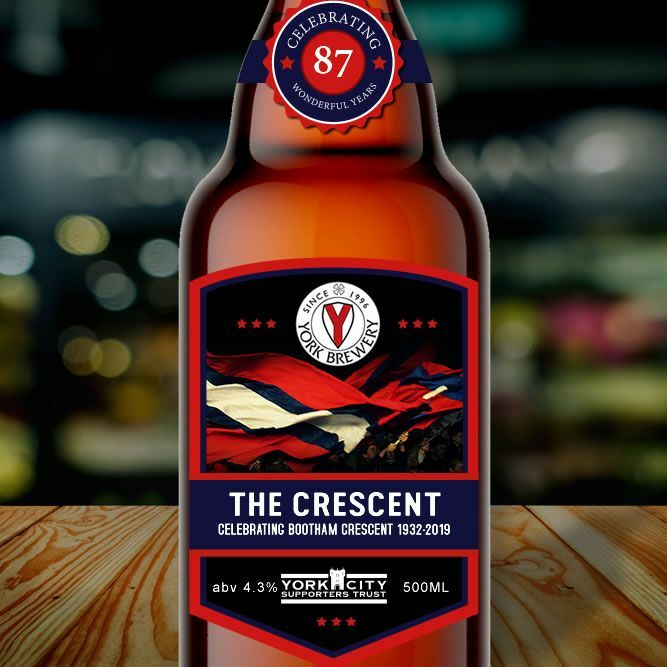 We’re delighted to announce that the Bootham Crescent Commemorative Beer ‘The Crescent’ is now on sale via the Supporters’ Trust website. Available in cases of 12 uniquely branded 500ml bottles, the first batch will be shipped from York Brewery next month. Please click here to order online today. Work will now start on brewing the ale and finalising the label artwork, which will feature an iconic image from photographer Tony Cole. 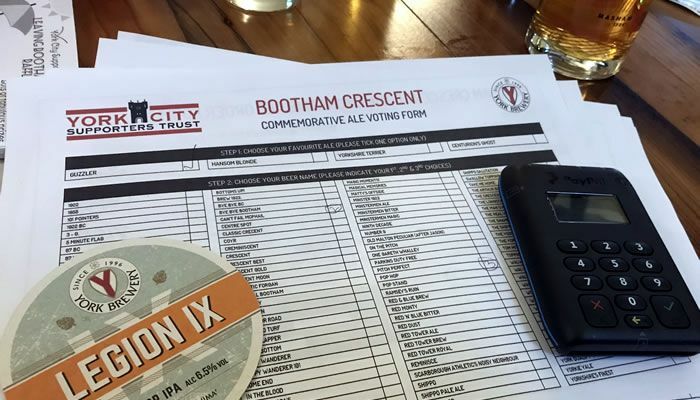 Huge thanks to everyone that entered the naming competition and attended the beer tasting evening. This locally brewed ale seems a fitting tribute to the home we all love so much.